Is there anything more satisfying than a hot Gyros right off the spit? We think not. At Olympia Gyros, we have dedicated our lives to creating nothing less than the best Gyros this side of Athens. Pronounced 'YEAR-OSE', the king of sandwiches is actually somewhat of an American invention, based loosely on the Mediterranean style sandwich with Grecian roots. Already popular in major urban areas like Chicago, New York and Toronto, the Gyros is making strong inroads into other cities as changing appetites and new demographics fuel the popularity of ethnic foods in general. At the forefront of the industry since 1972, my brother Kostas and I have led the charge to develop the Olympia brand, along the way building the strong customer relationships that have defined our success. Providing you with only the highest-quality meats and Greek specialties is always our foremost goal. Excellent value, an ongoing commitment to food safety, and a tradition of authentic taste are the principles that guide us in everything we do. And because your trust is never assumed, you can count on Olympia to deliver a consistent product that meets your high standards. Sure, we are known for our Gyros, but did you know that we offer a complete line of prepared Greek foods as well? We invite you to browse our current products for an entire list of what Olympia has to offer you. For those of you who have supported us through the years, we offer our sincere gratitude. If you are not yet part of the Olympia family, then we hope to soon become your first choice for genuine Greek foods. 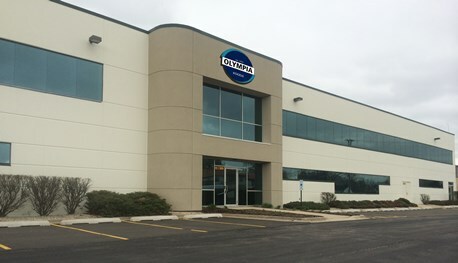 Olympia Food's is excited to announce that we have moved into a brand new 200,000 square foot food processing facility in Franklin Park, IL. 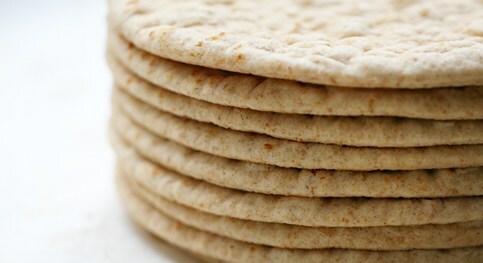 We have expanded our meat production capacity and have added a state of the art flatbread line.